The success of the Guatemalan people in defending their food sovereignty and stopping “Monsanto Law” is an inspiring example that people, when united, can overpower even the largest of corporations. A new law was passed in Guatemala in June 2015 that would have given exclusivity on patented seeds to a handful of transnational companies such as Monsanto. The opposition brought together a diverse set of people from across the Central American nation. Trade unions and farmers, social movements, women’s organizations and Mayan indigenous people took to the streets outside of the Congress and Constitutional Court in Guatemala City to protest the Monsanto Law and to show their disdain for the role that GMO seeds and their patent holders would now play in Guatemala. On September 2, a large group of Mayan indigenous people blocked several streets in front of the Congress and demanded the immediate overturn of the law. Coinciding with several court injunctions in order to stop the new law from taking effect, the peaceful protests finally ended on September 4, 2015, after ten days, when the Congress of Guatemala repealed the law. To the Mayans, who make up about half of the Guatemalan population, ownership of corn seed and the freedom to cultivate their own crops means much more than just food freedom. In many countries, indigenous tribes and rural populations have cultural traditions concerning land cultivation that are deeply rooted in their ancestry. These traditions are often centered around essential staple foods such as corn, which make up a substantial part of the simple diet of rural and indigenous people. Cultivation of food is regarded as a cultural custom and a God-given right. By replacing heirloom seeds with patented genetically modified (GM) seeds, this freedom is often lost. Markets that have been overrun by Monsanto’s GM seeds have suffered near extinction of natural seed and created a great imbalance between local producers and national corporations. For example, in the United States upward of 90% of soybean and corn are now genetically modified, and in Argentina about 90% of soybeans are genetically modified. In Guatemala, where currently about 70% of the population relies on small-scale agricultural activities for their livelihood, this type of threat to natural seed would create tragic consequences. Monsanto spends untold resources suing family farms for patent infringement. Farmers are forbidden from saving patented seeds year to year. 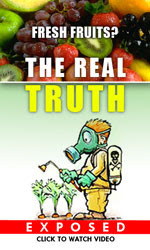 Additionally when Monsanto’s GM seeds pollute neighboring farms, Monsanto sues those farms too. According to information from Food Democracy Now, a grassroots community for sustainable food system, Monsanto’s GMO Roundup Ready soybeans, the world’s leading chemical and biotech seed company, admits to filing 150 lawsuits against America’s family farmers, while settling another 700 out of court for undisclosed amounts. Farmers in countries where sale of Monsanto’s GM seeds are legal face the same repercussions. The Monsanto Law in Guatemala meant that farmers would not be allowed to grow food from natural seeds. They would have to license patented seeds from transnational companies such as Monsanto, and pay patent fees even if GM seeds got mixed with their natural crop as a result of pollination or wind. It is very common for international companies to enter and seek control of territories with rich and abundant natural resources, using their money and power to coerce local governments to “remove” any obstacles standing in their way. Monsanto Law was a result of a free trade agreement Guatemala made with the United States, ratified in 2005. The law was approved without the involvement of or counsel from those most affected – the small farmers and the indigenous people who grow their own food, typically corn and beans, for their own consumption. The law would have made criminals of these farmers. It was likely to result in increased food prices and would have increased social conflict between indigenous Mayan people and transnational corporations. The Mayan people and other Guatemalans clearly did not agree with governmental policy that turned farmers into criminals and favored transnational corporations. They peacefully fought to have Monsanto Law repealed and they won!! Their success is another victory in the global movement to ban GMO crops and retain, or in some places reclaim, control over food sovereignty. This article (Indigenous Mayans Win Stunning Repeal of Hated ‘Monsanto Law’) was originally created and published by Waking Times and is published here under a Creative Commons license with attribution to Alex Pietrowski and WakingTimes.com. It may be re-posted freely with proper attribution, author bio, and this copyright statement.